Florida Commercial Contract Disputes: What’s Actually in the Contract? In today’s world, business moves quickly. Often, the realities of the market require companies to enter into commercial transaction without ever sitting down and drafting a contract. In many cases, the two companies will send each other form contracts and simply move forward with the transaction. On the one hand, this is good as it allows business transactions to be conducted at a high rate of speed. However, unfortunately, the lack of a professionally drafted contract can also increase the chances that a dispute will arise. Here, our commercial litigation attorneys explore what happens when companies have exchanged contradictory boilerplate contract documents and moved forward with a commercial transaction anyway. For a valid contract to be formed in Florida, there needs to be both an offer and an acceptance. Under the common law, a valid offer and a valid acceptance can not be made unless both parties agree to identical terms. In other words, under the common law, no contract can be formed unless the parties actually reached agreement on issues. If there are contradictory terms, those terms will not be enforced. Of course, this type of system creates major problems in the modern fast-paced business world. A strict enforcement of the common law requiring identical terms would make it too easy for parties to ‘renege’ on agreements. As such, the common law is not strictly used. 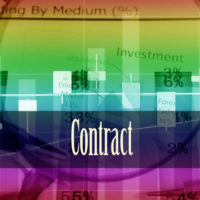 The ‘last shot rule’ developed as an alternative to the common law on contract formation. Using the ‘last shot rule’ enforceable commercial contracts can be formed even if the two parties exchanged forms that are not perfectly identical. The ‘last shot rule’ is relatively simple: A party can ‘accept’ an offer through conduct that indicates that there is no objection. The party that fired the last shot, usually the seller, will be able to control the terms of the contract. This type of system resolves some of the issues created by the common law requirement of identical terms, but it can result in the creation of many unfair contracts. As such, the Uniform Commercial Code has developed a more balanced rule to address both potential problems. Section 2-207 of the Uniform Commercial Code (UCC) is implicated in a battle of the forms dispute. The UCC is a set of laws and regulations that deal with commercial transaction which has been adopted by all fifty states. Section 2-207 deals with ‘additional terms in acceptance and confirmation’. This rule usually ensures that there is an enforceable contract created once a transaction moves forward, assuming that contract documents have been exchanged. However, unlike the last shot rule, it does not require that one document control the transaction. What Can Our Business Law Team Do For You? At Pike & Lustig, LLP, our commercial contract dispute lawyers have extensive experience protecting the rights and interests of businesses throughout Florida. For immediate legal assistance, please contact our West Palm Beach office today at 561-291-8298. Our firm will review your case free of charge.